Introducing any tool or new technology system to your business is only going to be successful if you take the time to plan and implement a change management approach. Build it and they will come just isn’t going to work. At GreenDot, we specialise in Office 365 change management strategies and can help your business with our proven methodology so that you can get the results you want, faster. The first step in our Office 365 change management approach is to identify what results you want and what needs to change in order for those results to be achieved. We ensure that both management and your team have a complete awareness of the desired outcome and why embracing will improve day-to-day outcomes for both your team and your customers. As the first step in your Office 365 change management plan, we’ll help you to define your vision and clearly identify what the impact will be on various business scenarios. It’s not enough to know what change you want – your team needs to want these results too, or else they’ll resist and continue doing things the way they’ve always been done. To help counter any resistance, GreenDot will work with change champions within your organisation and help provide them with information, tools and strategies to encourage other team members along the journey. 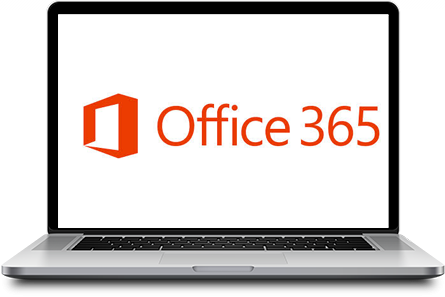 We’ll help your managers to answer the “what’s in it for me” question that many team members will have about Office 365 and help them to communicate why this change is worth supporting. Of course, it’s not just enough to know that there are new tools and what the desired outcomes are. People also need to know how to actually use these new tools in their day-to-day roles. GreenDot can help you to develop a comprehensive knowledge base to communicate to your team how to use Office 365. This includes a range of self-service information channels like wikis, tutorial videos and SharePoint reference guides. Once your team know how to use the tools, it’s time to put this knowledge into practice. By encouraging an environment of experimentation, your team members will find the new ways of doing things and using Office 365 in a way that works for them. GreenDot will provide you with ongoing support to create targeted campaigns that focus on developing skills for particular tools, building ability among your team in an evolving process. We’ll help to keep your team motivated by measuring results and sharing success stories. By demonstrating the results, GreenDot will help to reinforce the changes so far and maintain momentum for any further changes still to come. Ready to get help with your Office 365 change management? To realise the full benefits of implementing Office 365 in your organisation, a clearly planned and well-executed change management strategy can make all the difference. At GreenDot, we’ve successfully worked with some of Australia’s largest organisations to create and lead technology change management projects. To find out how we can help you, call us today on 1300 80 11 88.